I traveled 2,500 miles to go to college. Here's what my first month taught me about school, life, and myself. 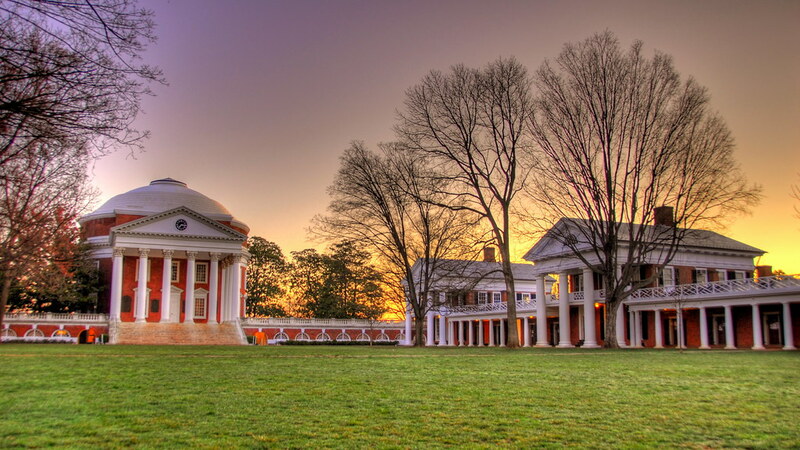 When I visited the University of Virginia during the fall of my junior year of high school, I knew I wanted to make it my new home. Raised in Southern California, the only weather I've known has been the occasional rains during the winter time. Not only did the changing leaves inspire my love of the variance the seasons bring, I felt like the university was my next big adventure that I could take. 1. You don't have to be homesick. Although I've always been an independent person, I was ready to feel the pangs of homesickness for my family, friends back home, and going to the beach every day. Although I do miss the ocean (there's nothing better than the coolness and the saltiness of the air! ), my willingness to be open to a new place replaced those longings. It's regular to miss the people you love and your hometown, but college has so many amazing things to offer! The new connections you forge in college can keep you happy! I think that dwelling on the past distracts from the grand adventure that is in front of you. 2. Don't be afraid to branch out. The great thing about traveling across the country is having a clean slate. While college represents a new beginning for most people, I had the added advantage of being able to start over completely. The best thing about being at a larger school (my high school had 520 students TOTAL) is that I can meet someone new everyday. Some of my friendships have started just by simply introducing myself to the people in my classes or in my dorm. 3. Be prepared for cultural differences. While culture is becoming increasingly global in the digital age (especially with social media), I've noticed some stark contrasts in my time while living on the opposite coast. Different slang (what is a brick?) is all around me and I've even noticed that the music that is played at parties or social gatherings is quite different. Maybe it was just my high school or even my area, but I've noticed that significantly more people listen to EDM rather than rap. It's just interesting to see the different peoples' dress, actions, and even the things they like. 4. It's easy to get distracted by everything that's going on. College is a whirlwind, and getting caught up in the social aspect of it can be time consuming. Moving in and orientation and all of the football games can take up a lot of time! My advice would be to make sure that you're staying true to yourself and the reason you traveled all of this way to come to school. Uprooting yourself and moving cross country takes a lot of guts, so make sure it's worth it for you. 5. Living in a new place is an extraordinary opportunity. Above all, I thank my parents for providing me with this opportunity. It's such a blessing to be able to even go to college when most of the world doesn't even have this ability. It's even more of a blessing to be at the school that I fell in love with. If I could sum up my first month of experiences in a sentence, I would say that this has been the most eye-opening experience. There will never be another time in your life when you're around so many people your same age. We all have commonalities that bind us together but we also have such amazing things to learn from one another. Here's to our next great adventure!